Why the right oily water pump makes all the difference! Many pump vendors claim their pumps are “low shear” and gentle on oily water. We have heard all the claims! Truth is the pump vendors most times do not know how their pumps effect oil droplets because they don’t have the oil droplet measuring instruments or technical expertise to use those instruments. Using the wrong pump is like putting your oily water through a blender. The wrong pump will churn and mix the oily water, causing the oil droplets to smash and break apart. That’s bad news for your water quality – the aim is to keep the oil droplets as large as possible, because the larger the oil droplet is, the easier it is to separate. So it’s important to select a pump that will be gentle on your oil droplets. Churning and mixing the oily water causes ‘mechanical emulsification’, and emulsified oil droplets can lead to discharge water not meeting your specs. When it comes to oil droplets, size really matters. Large oil droplets are simple and easy to remove, while small droplets require much more powerful separation forces. The bigger your droplets are, the better. By choosing the right pump and being as gentle as possible with the oily water as it travels through the system, your droplets will stay large and it will be a much simpler and cheaper to remove them. At Ultraspin we are very fussy about pump selection. A poor pump can be very detrimental to the performance of any oil water separator. By using our oil droplet particle sizer we quickly identify pumps that ‘shear’ or chop up the oil droplets, emulsifying the oily water, and making separation more difficult. Most vendors don’t have equipment to measure oil droplet particle size and therefore often select pumps purely on cost. This results in poor oil water separator performance and a costly mistake for their customers. There are a range of pumps known as ‘low shear’ pumps that are suitable for oily water. These pumps are powered by compressed air and we use specific designs on our pneumatic systems. Be careful though – not all AOD’s are created equal, some emulsify. Progressive cavity pumps can be highly emulsifying or low shear! The secret is choosing a pump with high ‘volumetric efficiency’. 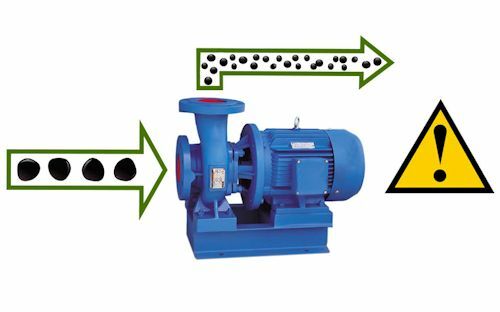 If the number is too low then the pump will shear and emulsify your oil, but if the number is high you can get a high quality low shear pump that will serve you well. Ultraspin have been using PCM SA pumps to cover this range for a few years now and have been extremely impresses with their performance and service. Small flow centrifugal pumps are bad news for oily water in all circumstances. However if the flow rate is very high, generally greater than 100m3/h, then these pumps can be sized and selected carefully to give a good result. 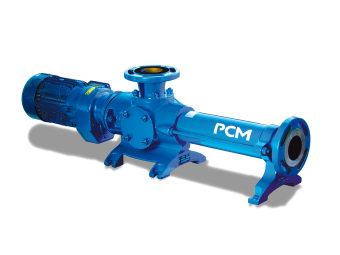 If you would like advice on selecting the best pump for your oily water application, give us a call and we can suggest some low-shear options that are right for you. Thanks for the request. We will send a quote today. Given its dairy wastewater I’m guessing you will need a design suitable for pH 2 to 12? Also it will need to be stainless. Can you also tell me why it needs to be low emulsifying? How often do you require polishing after the first stage of oil removal?